The major challenges of our modern world lie in the fields of health, environment, energy, production, and security. Scientific progress and innovation in these areas are essentially driven by the generation and manipulation of photons – e.g. in photonic devices, data transmission, sensors, high-resolution microscopy, or the manipulation of biological and other materials, or even the the manipulation of light by light. That is why photonics is one of the key technologies of the 21st century. Major strategic plans of the German Federal Ministry of Education and Research BMBF (Agenda Photonik 2020), of the European Commission (Strategic Research Agenda - Lighting the way ahead), of the European Technology Platform Photonics21, and of the U.S. government (Harnessing Light II – Photonics for 21st Century Competitiveness) acknowledge this trend. The BMBF Agenda Photonik 2020 confirms that optical technologies are Germany's most important future technologies, even more important than the pharmaceutical industry. Mathematics plays a key role in optical technologies: It serves as the most precise microscope one can think of. 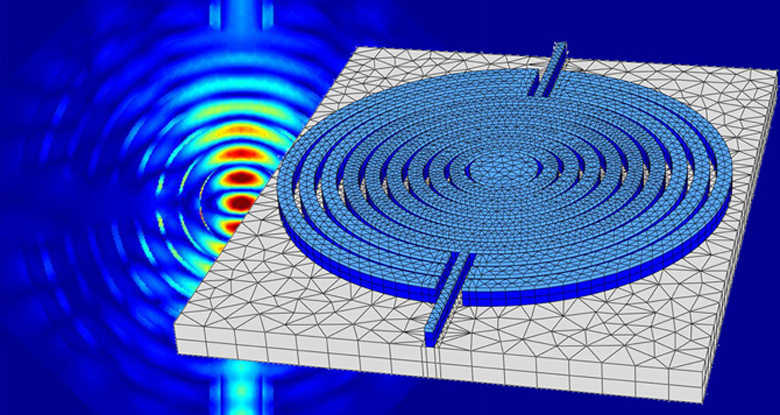 The simulation of photonic structures helps creating more efficient devices, and mathematical modeling and simulation leads to a better understanding of light-matter interaction, including engineering of open quantum systems. The methods in this application field span a whole range of mathematical disciplines, from mathematical physics as the modelling language, theory and numerical simulation of partial differential equations to solve high dimensional and multiscale problems to applied stochastics.